One of the things I love about Windows Mixed Reality headsets is its ease of use. Because of the inside out tracking, I don't have to setup anything and I can easily move my setup without having to fumble with external sensors. Not to be outdone, HTC is going to have an HMD that does just that. The HTC VIVE Cosmos is a stand alone headset that can be powered by both a PC and a phone. One upping the Windows Mixed Reality headsets, there are cameras on the sides as well as the front so it should have a much higher degree of view for sensing your controllers. The controllers remind me a little bit of WMR's and the Oculus Quests' controllers with joysticks. There's an interesting light pattern that goes around it for the cameras to sense. HTC says it's a modular HMD, but there's no other details on how this will come to be. It would be really cool if HTC found a way to do some future proofing. No pricing or announcing of a release date was talked about, but HTC did say that dev kits will be going out soon. Hopefully, I'll get to take a look this Wednesday when I meet with HTC. 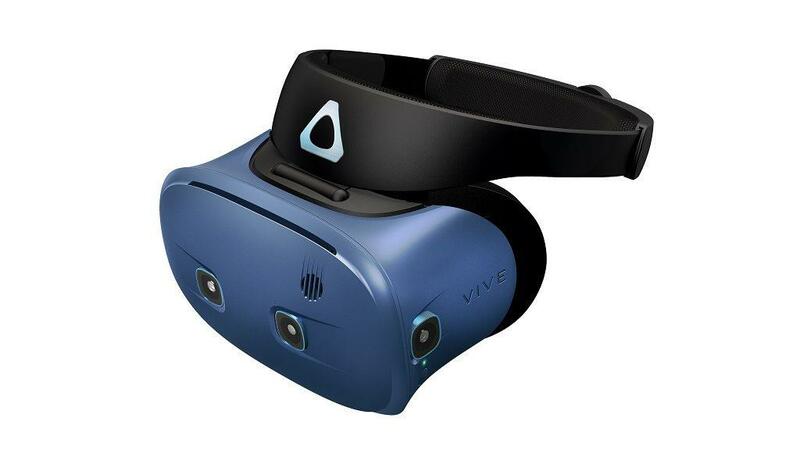 Unveiled for the first time today, Vive Cosmos is the newest VR headset from Vive, offering absolute comfort, and ease of set-up and use—ensuring consumers can access their virtual world whenever their life may call for it. With no external base stations required, Vive Cosmos maximizes flexibility of usage space, whether at home or on the go, and has the capability to be powered by more than a traditional gaming PC. 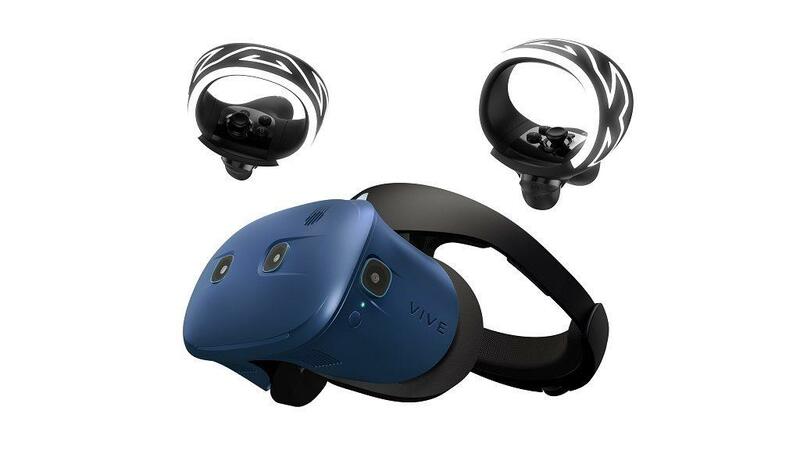 With the introduction of Cosmos, HTC aims to redefine how VR is accessed by offering a headset that is quick to setup and use and can be taken on the go to new play environments. Cosmos will be the first Vive headset to feature the “Vive Reality System,” an entirely new design experience for VR.